Solar prints are a fun and scientific art project to do with friends and family. 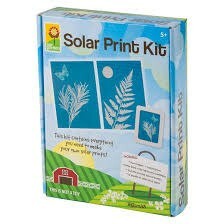 This Solar Print Kit from Toysmith contains everything you need to make interesting solar prints. 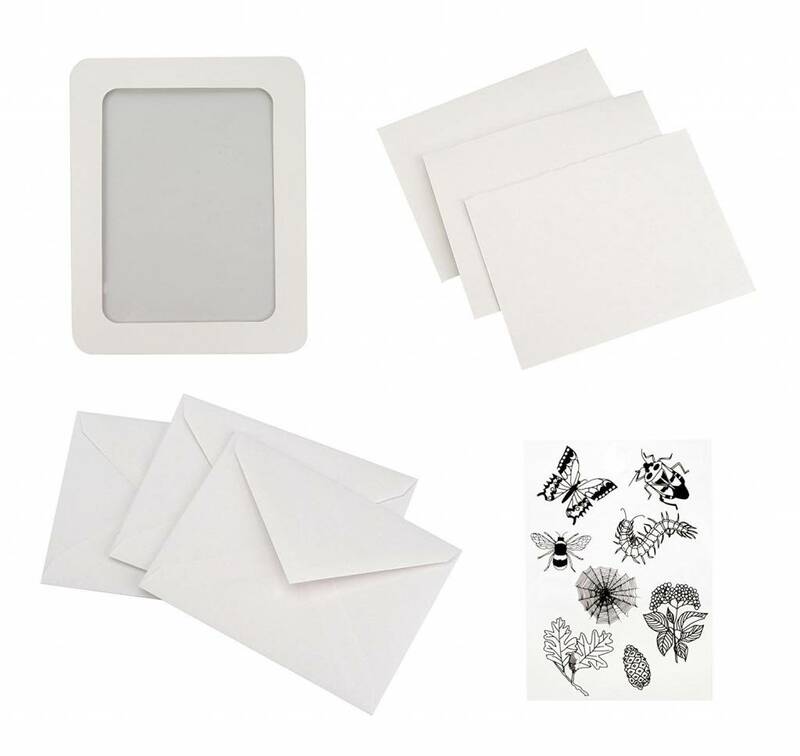 Includes three blank note cards with envelopes, two pre-printed stencil sheets, two frames, twelve 5" x 7" sheets of solar print paper, and detailed instructions. Use the stencils provided or find items in nature and place on the sun-sensitive paper. The paper undergoes a chemical change when exposed to sunlight. Within minutes you will have created your own custom solar prints for note cards or the framing.